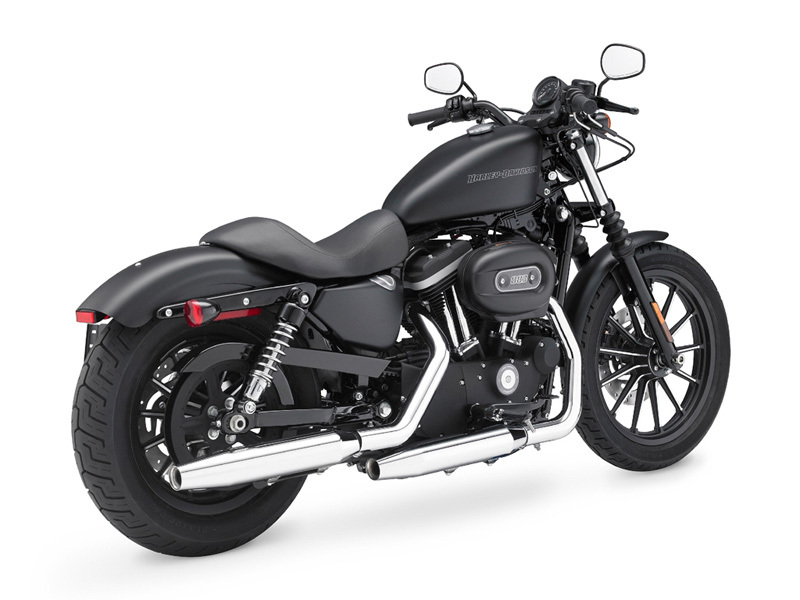 Harley Davidson Iron 883 is known for its aggressive looks and great performance. Read the review to explore the features, technical specifications & price. With stylish body, good suspension and better handling for miles together, Harley Davidson Iron 883 has a special place for itself in both the hearts of riders and auto market. The rider who is looking for a quality and hassle free ride will fall in love with this bike. The anti-chrome and aggressive looks of the vehicle guarantees a perfect riding experience. So whether it is a city roads or highway route, cruising on this bike will be memorable. The air cooled, V twin and 883 cc evolution engine of the bike is a great advancement in Harley Davidson's motor technology. The aluminum cylinders and heads used in the engine lighten the load of the bike thereby increasing the air cooling efficiency. The electronic fuel injection used in the engine makes it more reliable and maintenance free. The engine which gives the maximum torque of about 69 Nm at 3500 rpm helps to achieve the higher speed. 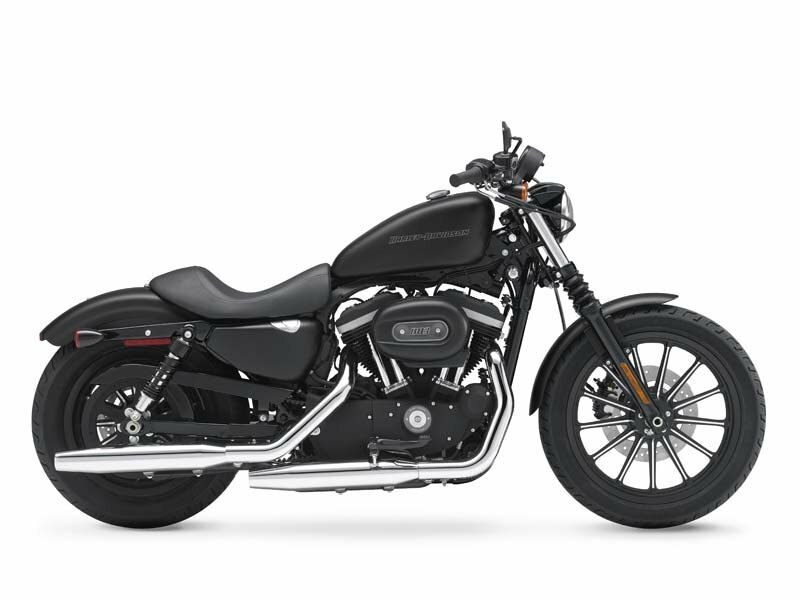 The Harley Davidson Iron 883 with the bigger engine and broader body looks extremely attractive. The black denim color used all over the engine and other exposed parts gives sporty appeal to the vehicle. Adding to this, the round shaped headlight, short dashboard and body graphics attracts youngsters and people who are crazy about bikes. Further the bigger alloy wheels, steel silencer, LED tail lamp and comfortable seat are highly appreciated by cruise lovers. 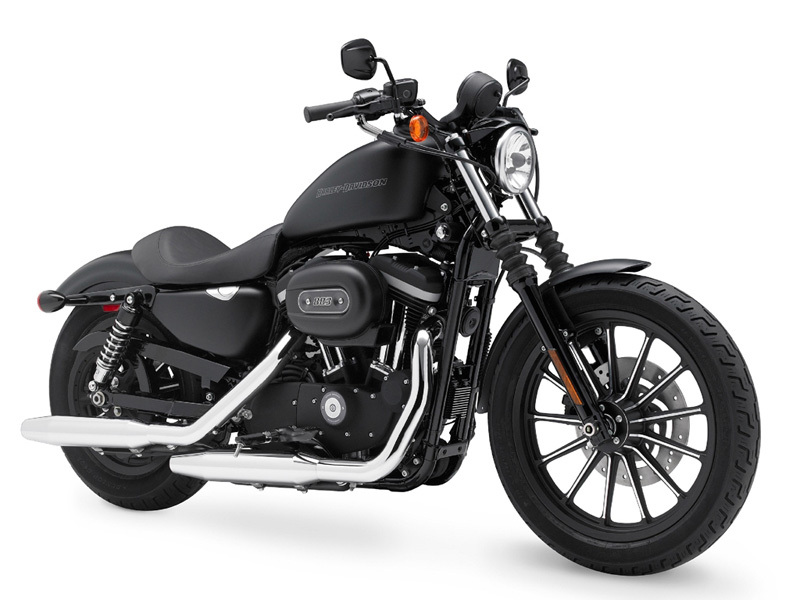 The smooth suspension used in Iron 883 is plus point of the bike as it ensures painless driving. The braking used in the bike is also good so the vehicle reacts well on applying brakes even at hasty condition. The bigger wheelbase of the bike is other major point in the bike as it gives greater balance to the riders. The Harley Davidson Iron 883 provides the mileage of about 18 to 20kmpl. The ex-showroom price of Iron 883 is about Rs. 6,60,000. This bike is available in three different colors namely big blue pearl, ember red sunglow and black denim.